The following steps are performed on Virtual machines and tested successfully. It is advised to test first on raw / virtual machines and then in production environment. We will setup for Apache Webserver and MySQL on High Availability Cluster (2 Nodes). PING cos-5-1 (192.168.1.8) 56(84) bytes of data. PING cos-5-2 (192.168.1.9) 56(84) bytes of data. PARTITION SETUP On Both Servers. We have 3GB disks on both servers. Create Physical Volume for LVM this is second step for LVM partition. Note: Create LVM on Both servers identical same ………………. Install drbd82 & kmod-drbd82 rpms using yum command. New drbd meta data block sucessfully created. Note: Internet connection is required or configure yum repository on your local machine with extras. Note: if you have problem mounting /dev/drbd0 on /data then run these commands to check the status if you found the drbddisk stopped then start it. we can see that servers are in Primary/Secondary state and working well with /data directory mounted. To takeover the machine cos-5-1 to node2 forcefully. Note: We must use Virtual IP/Service IP which we define in heartbeat i.e. 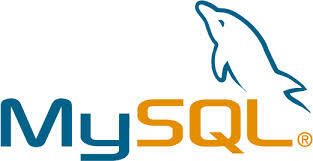 192.168.1.190 as default IP for accessing Webserver and MySQL. Previous: Previous post: Fedora 20 i686 Live AntiVirus Spin from WBITT Team!